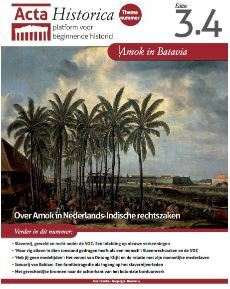 The journal Acta Historica is published twice a year, reviews weekly. Articles or article proposals can be sent to aforementioned email adress. Studied history at Leiden university, specializing in Medieval and Early Modern European history. He is mainly interested in the history of Ireland, Scotland and England, military history and the history of social movements. Among other activities, he participated in several research projects at the International Institute for Social History (IISG) and Utrecht university. Is studying Political Science and Public Administration at Leiden university. He is specialized in the field of politicology, with an emphasis on methods of research. He is mainly interested in the workings of political power, corruption, legislative studies and lobbying. Recently he started giving tutorials to second year politicology students. Graduated in History at Leiden university, with the specialisation Political Culture and National Identies in 2011. He is mainly interested in 19th Century military history, military culture and tactics, social movements and pressure groups. At the moment he works as a researcher in the field of UXO (Unexploded Ordnance) from the Second World War. Studies History and Law at Leiden university. His tasks at Acta Historica include the establishing and maintaining contact with authors of articles and reviews. He is mainly interested in the history of the 19th and 20th Centuries. His recent research was aimed at American history, that of the Vietnam war in particular. Studied Journalism & New Media and History, specialising in Ancient History. She is also interested in the Middle Ages, Art History and historical museums. She worked at the National Museum of Antiquities, the Huygens Institute for the History of the Netherlands and the public libraries of Dordrecht and Gouda. Studies history at Leiden university with a minor in Journalism & New Media. Her tasks include the maintaining Facebook and the posting of news and interesting historical facts. She is mainly interested in 19th and 20th Century History. At the moment she’s working on her thesis about women’s suffrage and recently finished her internship at the historical radioprogram of the VPRO, OVT.